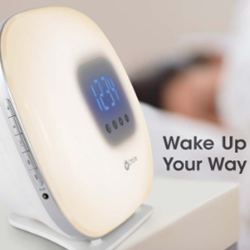 Relax and recharge with the Wake Up Your Way Light & Alarm Clock. 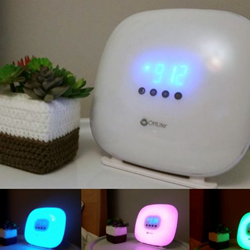 Go to sleep with a music & light selection in 10, 20 or 30-minute intervals. 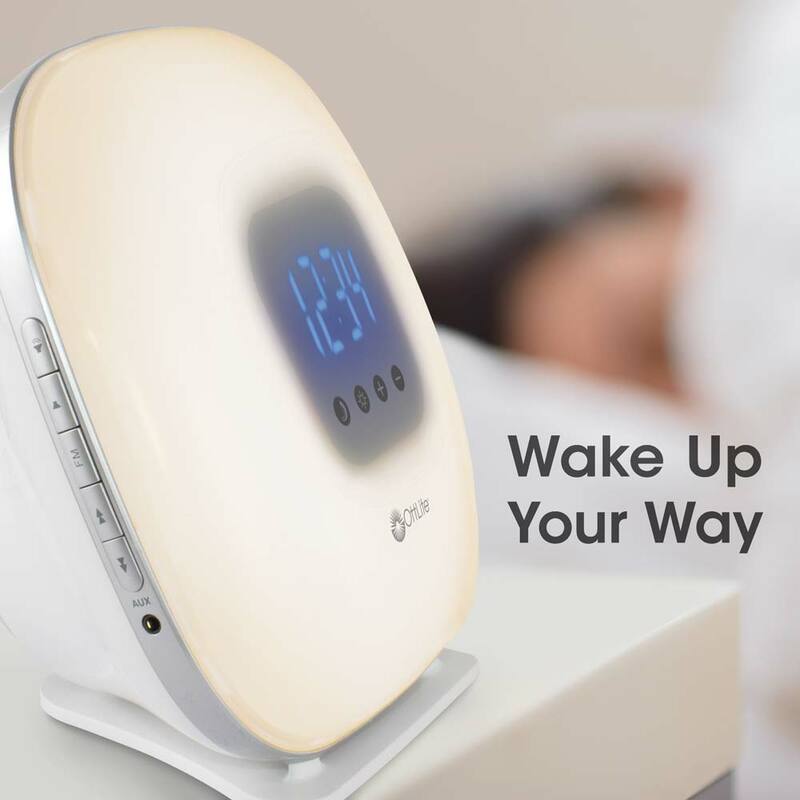 Then choose to wake up to your personalized profile of sound (your choice of a traditional alarm or nature sounds), light or sound & light! 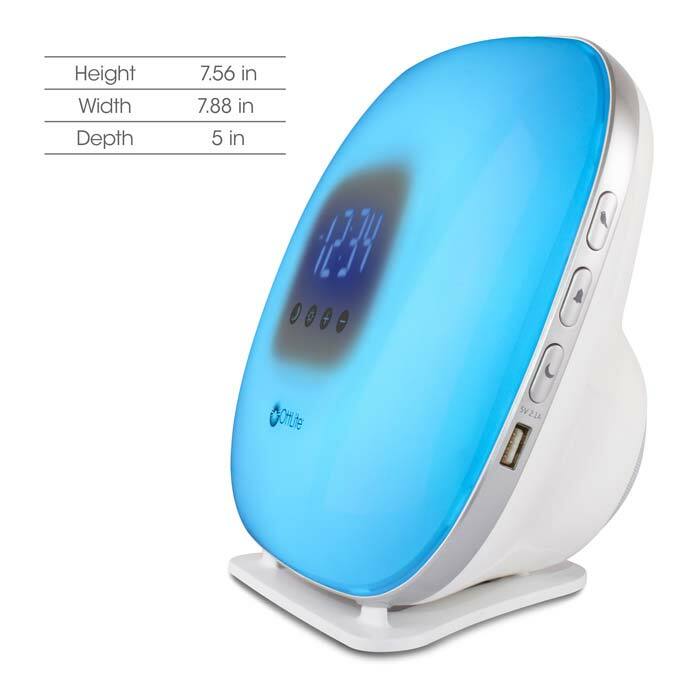 With a 5V, 2.1A USB port, a color changing light to help you relax and a snooze option you’ll be able to go to sleep and wake up your way. 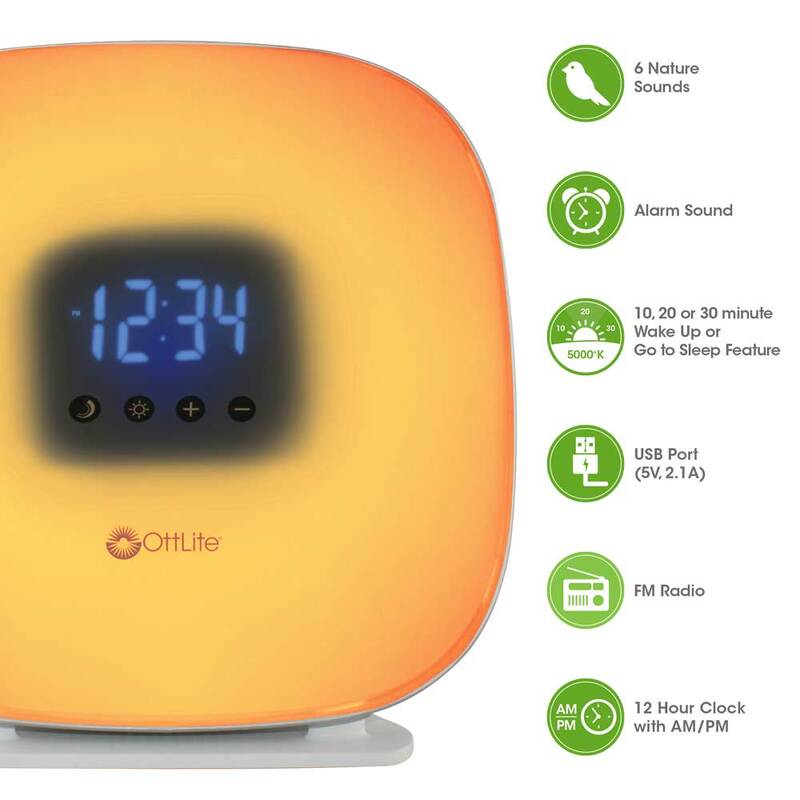 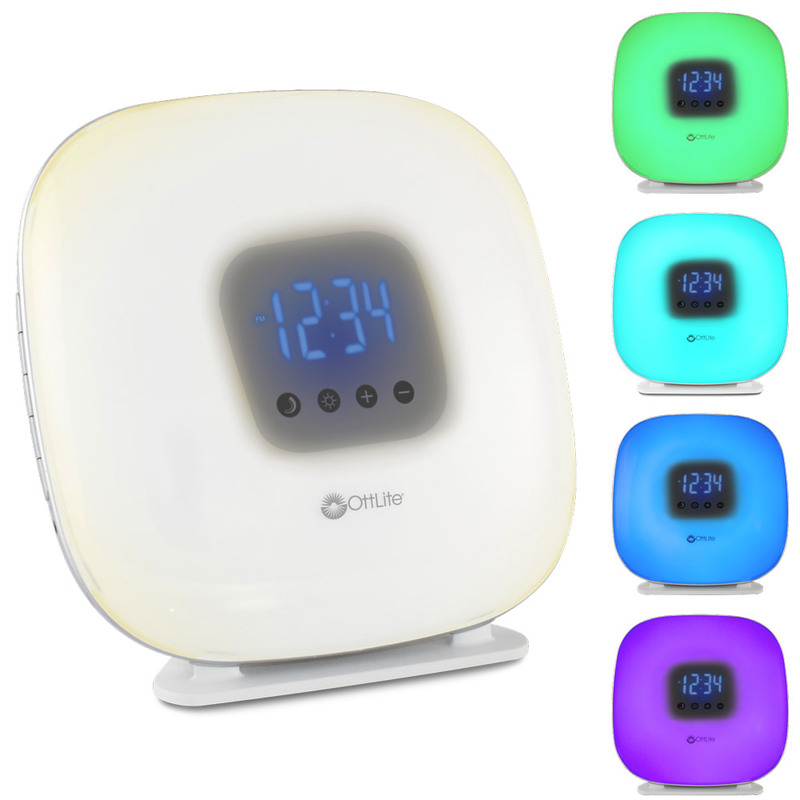 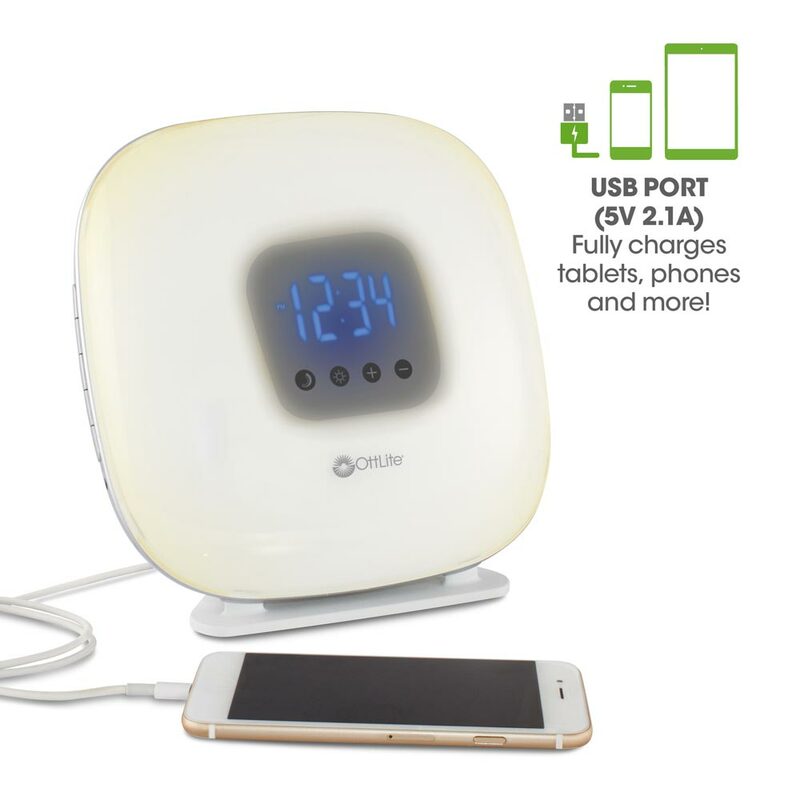 OttLite Blog - "Sleek in design, the Wake Up Your Way Light & Alarm Clock is the perfect bedside lamp for everyone in the family . 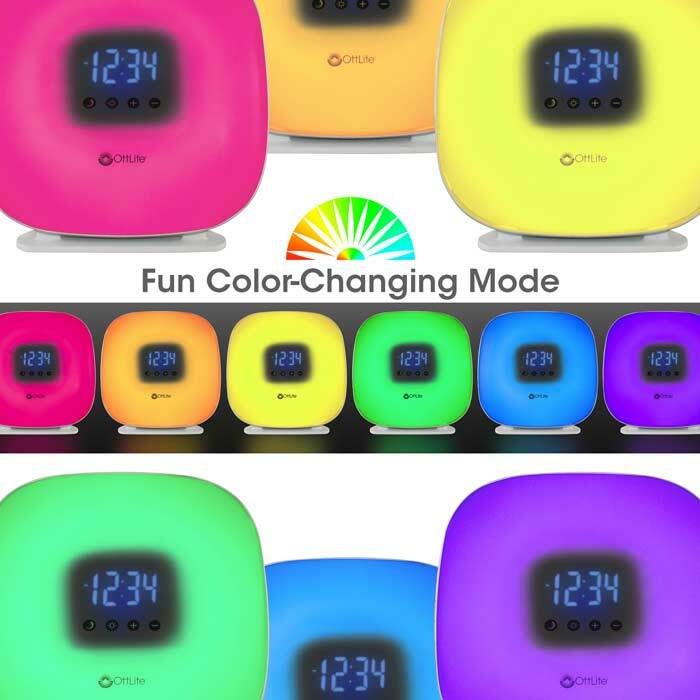 . . "
Moogly - "It’s been a huge hit here – the colors are mesmerizing, and I love that you can choose to wake up to your choice of a traditional alarm or nature sounds, light or sound and light!"